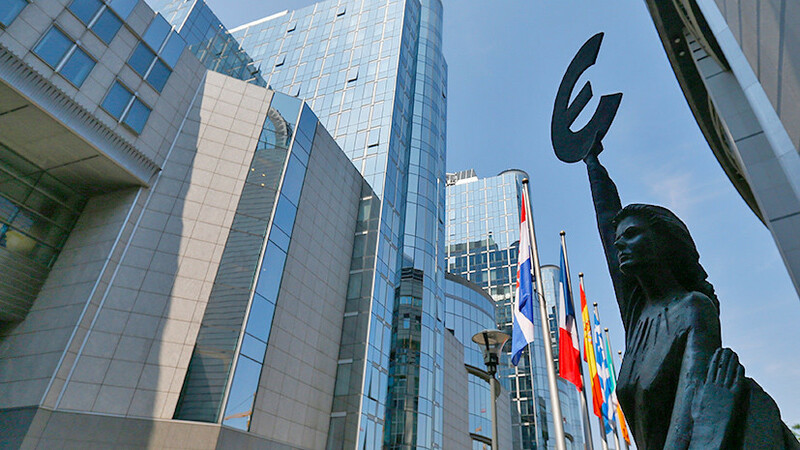 Anti-Russian sanctions inflict greater economic damage on the European Union than on Moscow. This was announced by the UN Special Rapporteur on the negative impact of unilateral coercive measures on the rights and freedoms of Idriss Jazairi. According to him, Russia has managed to mitigate the negative effect of restrictions due to the development of its own production. Earlier, the Russian Foreign Ministry indicated that Europe had lost € 100 billion from the sanctions regime. Experts note that the EU countries have long realized the uselessness of restriction, but cannot refuse them, because in this case they admit that they were wrong. The European Union suffers more significant economic damage from anti-Russian sanctions than the Russian Federation itself. This was announced by the UN Special Rapporteur on the negative impact of unilateral coercive measures on the rights and freedoms of Idriss Jazairi. “From the point of view of the European Union, it is extremely strange to impose sanctions that cause more damage to European companies than to Russian ones,” RIA Novosti quoted him as saying. Back in October 2017, the German newspaper Die Welt pointed out that the Russian counter-sanctions against exports led to the EU losing about € 30 billion. In March 2019, Deputy Foreign Minister Alexander Grushko stated that the damage to European states reached € 100 billion. The UN representative stressed that Russia was able to mitigate losses from financial constraints through the development of its own production facilities. “I am sure that there are more reasonable ways to overcome the existing differences – through discussion and negotiations,” said Jazairy. Recall that the EU sanctions regime against Russia was introduced in the spring and summer of 2014. It is regularly extended and operates in three independent directions – sectoral (extended until July 31) and personal sanctions (valid until September 15), as well as sanctions against the Crimea and Sevastopol (extended until July 23, 2019). “We should refuse from these sanctions at all. The EU became infected with the bacillus of “American permissiveness,” Russian Foreign Minister Sergei Lavrov assessed this situation during a meeting with members of the Association of European Businesses in Moscow. The Russian side is responding to European restrictions with the introduction of counter-sanctions, in particular the product embargo. These measures are also regularly extended. At the same time, Vladimir Putin, during a meeting with the French delegation in Simferopol, indicated the readiness of Moscow to lift all restrictions as soon as Europe cancels its own. “My answer will not please our agricultural producers, Russian, but I’m forced to tell you that if European sanctions are lifted, then, of course, we will be forced to remove retaliatory measures, because there will be no initial reasons for which they were introduced” – said the Russian leader. We add that representatives of a number of European countries, in particular Slovakia, Hungary, Austria, Italy, Germany, France and Bulgaria, recognize the need to lift anti-Russian sanctions in order to stop their own economic losses. The most consistent in this matter are Italian and German politicians and business representatives, who openly declare their lack of interest in restrictions acting against Moscow. “We are working to ensure that the sanctions against Russia were lifted. (It will happen. – RT) not tomorrow morning, but it remains our goal, ”said Italian Prime Minister Giuseppe Conte on March 8. The assessment presented by the UN official is quite reasonable and justified, said Dmitry Novikov, first deputy chairman of the State Duma Committee on International Affairs, in an interview with RT. “When the sanctions were announced, Russia came up with countermeasures, striking at very sensitive places of the European Union. The flow of agricultural products from the EU states to the territory of Russia has significantly decreased. This made it possible to raise in our country those branches which, after the collapse of the USSR, were in a deplorable state. Today, the Russian market is increasingly filled with domestic products, ”said the parliamentarian. At the same time, in his opinion, the damage that a number of segments of the European economy receive from Russian counter-sanctions may not lead to the fact that Brussels will reconsider its own course. “The fact is that their sanctions policy has two sources. On the one hand, all decisions related to the sanctions were taken under US pressure. On the other hand, quite a few people in the European Union tend to show Euro-Atlantic solidarity and also speak out from the position of pressure on Russia. I believe that the desire to strangle Russia as an economic competitor remains in Europe. Conclusions made in the UN will not be a direct cause of easing the sanctions pressure against our country, ”Novikov said. In fact, everyone is well aware that the European sanctions policy is meaningless, said Gevorg Mirzayan, assistant professor of political science at the Financial University under the Russian government. “The EU must either agree or refuse sanctions, not only the UN Special Rapporteur speaks of this. Russia’s position is extremely simple. Moscow will not make any serious concessions to the detriment of national interests. Europe is well aware that the sanctions against Russia are not working. But abandoning them now means admitting defeat. So the EU will continue the sanctions policy for the sake of the sanctions policy, ”he noted.